Football always means pizza in this house. 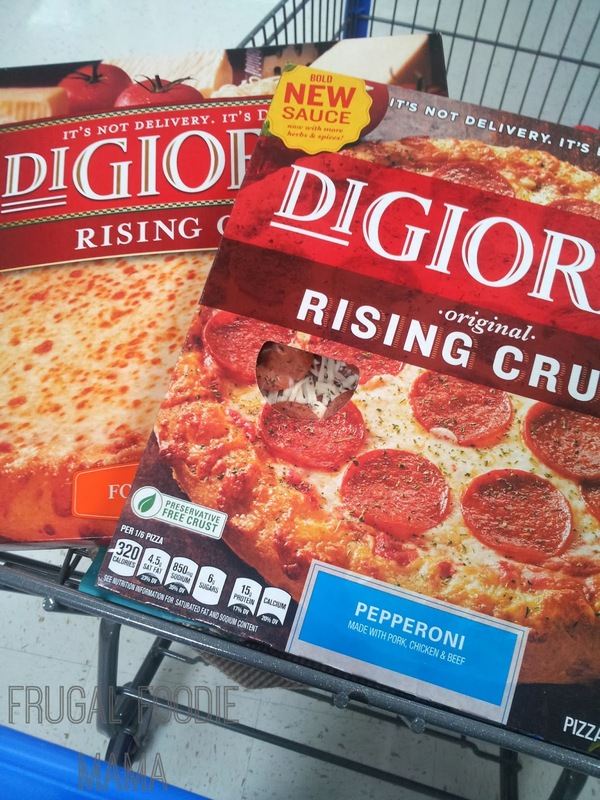 One of our favorite frozen take home & bake pizzas are the DiGiorno Rising Crust pizzas. They are better than delivery & faster too! These pizzas bake in around 20 minutes- the delivery guy usually takes at least 30 minutes, usually more on game day. Am I right? ;) Plus, you really can't get any fresher than hot from the oven! My husband and son are both big time pizza dippers. My husband's favorite thing to dip his pizza in is Ranch dressing. 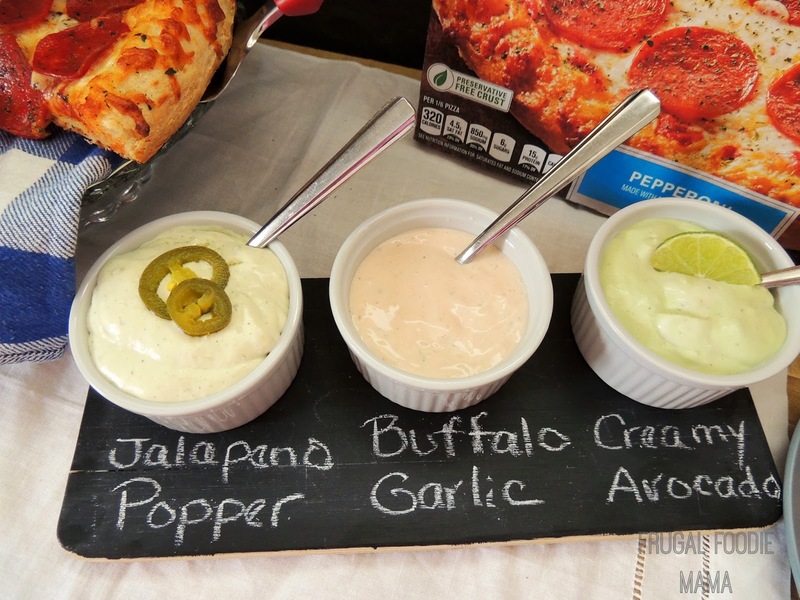 So, I took his favorite dipper and jazzed it up three ways- Jalapeno Popper, Buffalo Garlic, and Creamy Avocado. Add the jalapeno rings with a little of the juice from the jar to a food processor or blender and blend. Add in the cream cheese and Ranch dressing and pulse a few more times until well combined. Pour the Ranch dressing, minced garlic, & hot sauce in a small bowl & mix until well combined. Add the avocado, lime juice, and Ranch dressing to a blender or food processor (be sure to wash it out after making the Jalapeno Popper Dip!). Blend until smooth and creamy. 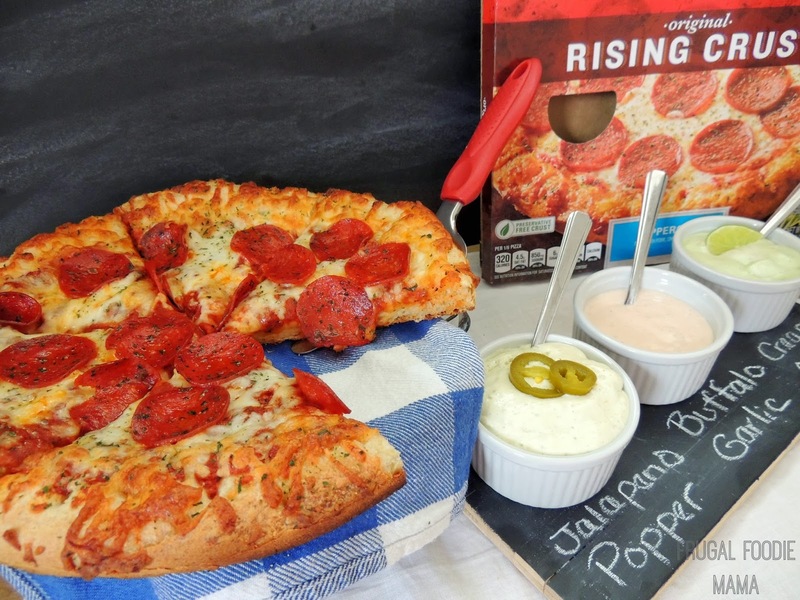 Serve the dips along side fresh baked DiGiorno pizzas. All three of the dips were a HUGE hit with everyone... even baby girl! My personal favorite was the Jalapeno Popper. My husband loved the Buffalo Garlic. And the Creamy Avocado was nice and cooling after the heat of the other two dips. 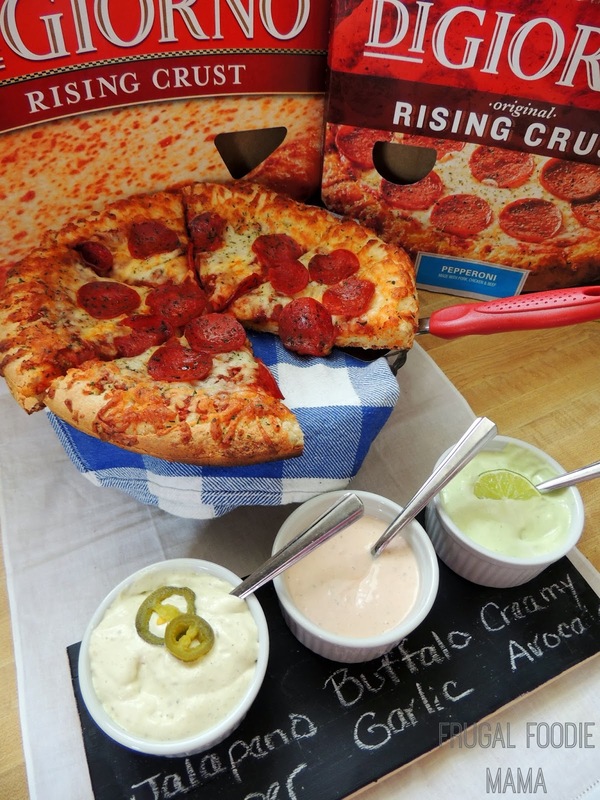 So simple and easy and you are guaranteed to not miss a minute of the big game stuck in the kitchen whipping up game day munchies. Are you a pizza dipper as well? 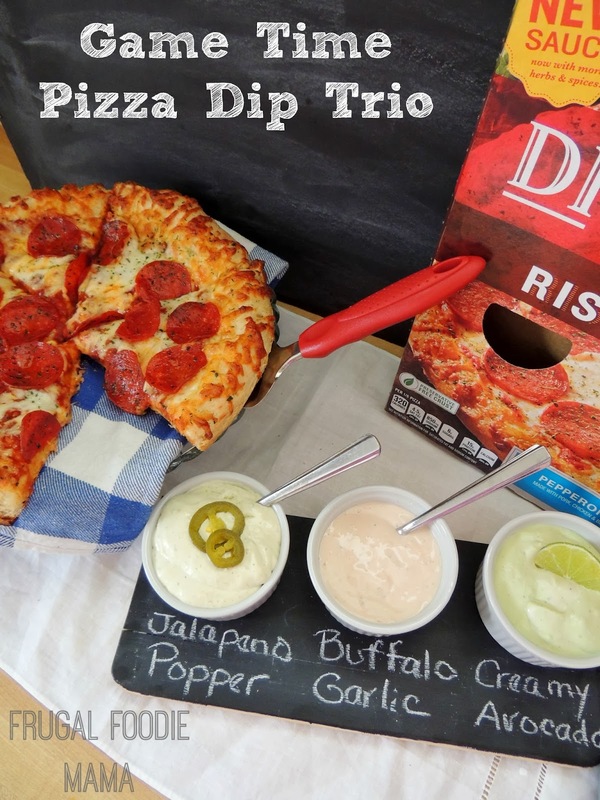 What dip would you make to dip your DiGiorno's in? 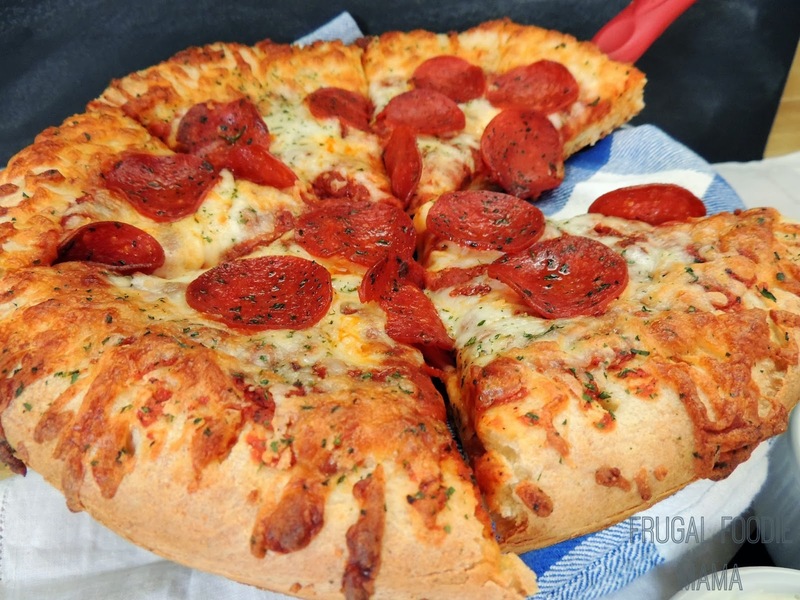 Be sure to head over to the Walmart site to find more great deals & recipe ideas from DiGiorno and Nestle!